Advances in molecular diagnostics are detecting more rare diseases at lower costs than ever before. For families with a history of genetic disease or for when de novo abnormalities are detected by screening, prenatal diagnosis gives the prospective parents and clinicians the information they need to choose the best prenatal and postnatal care. Definitive prenatal diagnosis relies on invasive techniques that carry a small risk of miscarriage. However, non-invasive techniques are emerging that may soon replace the traditional methods. Diagnostic tests confirm a genetic disease with close to 100 percent accuracy. Until very recently, definitive prenatal diagnosis was only possible through invasive methods such as chorionic villus sampling (CVS) or amniocentesis (amniotic fluid analysis), which cause miscarriage in 0.2 and 0.1 percent of pregnancies, respectively. 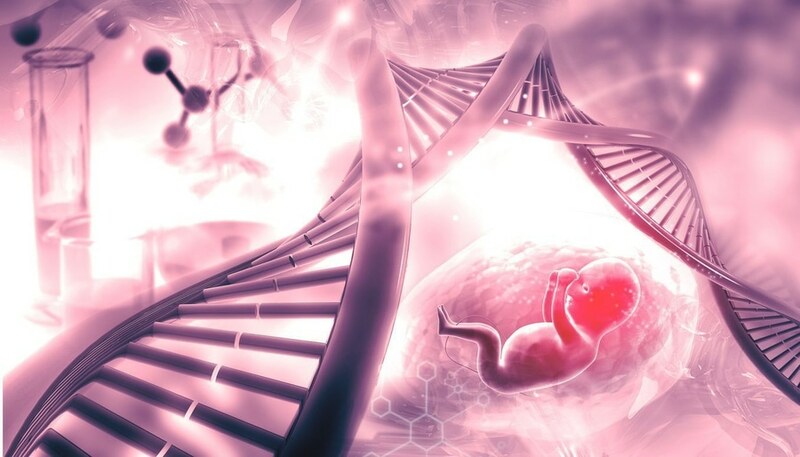 Recent advances in molecular analysis are now providing a repertoire of tests for detecting rare diseases from fetal DNA. Screening tests, on the other hand, provide a risk score for birth abnormalities and identify pregnancies with an increased chance of (mainly chromosomal) diseases; therefore, screening tests can indicate if more accurate diagnostic tests are required. Ultrasound imaging is the most common screening method, though accuracy depends on the skill of the sonographer. Major physical defects or aneuploidy can be assessed using this method, but not monogenic diseases like cystic fibrosis. Non-invasive prenatal screening (NIPS) involves analysis of cell-free fetal DNA (cffDNA) isolated from maternal blood. These 150-180 base pair (bp) fragments from placental trophoblasts make up four to 20 percent of free DNA. False-positives and negatives occur due to low cffDNA fraction, placental mosaicism, maternal genetic abnormalities, and multiple fetuses, so NIPS is not currently recommended for diagnosis. Improvements in PCR, microarray, sequencing, haplotyping, and other molecular methods are benefiting both the research into rare diseases and their detection via cffDNA-based non-invasive methods. 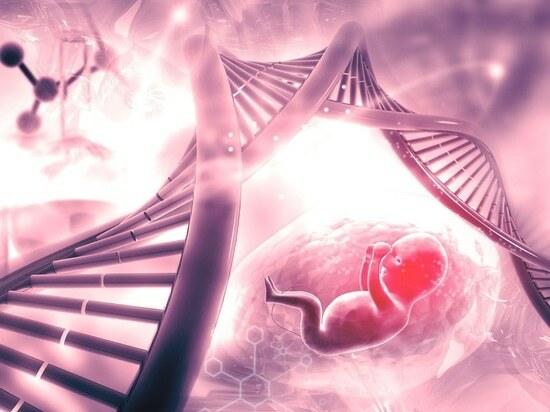 Scientists have recently developed targeted locus amplification to simplify haplotyping, making it more practical for diagnosis of inherited monogenic disease in fetuses. In other areas, chromosomal microarray technologies are revealing the pathology of microdeletions and microduplication; for example, the PrenaTest by the German company LifeCodexx uses quantitative PCR of cffDNA to detect the single microdeletion of chromosome 22 that leads to DiGeorges syndrome. The deletion occurs in one in 3,000 births and can cause learning difficulties, heart defects, and immunodeficiency. Combining next generation sequencing (NGS) with advanced bioinformatics improves the accuracy of cffDNA diagnosis. For example, achondroplasia (a bone disorder causing disproportionate dwarfism) and thanatophoric dysplasia (a severe skeletal disorder) have been confirmed with 96.2 percent accuracy using NGS. New PCR methods are also leading to improved non-invasive prenatal diagnosis. The Fluidigm microchip, a sensitive digital-PCR method that can amplify single fragments, can diagnose hemophilia and sickle-cell anemia from cffDNA. LifeCodexx reported increased accuracy, economy, and speed for an NIPS using real-time PCR compared to NGS or microarray. Other research groups are focusing on increasing the cffDNA yield from maternal blood samples, thereby improving the reliability of NIDS. When the cffDNA fraction was enriched using agarose-gel size-selection, researchers found the positive predictive value, which indicates the reliability of a diagnostic test, improved by six percent compared to standard NIDS. Other strategies involve improving the stability of the fetal fraction in blood-collection tubes to maximize the cffDNA available for analysis. Recent research has uncovered more characteristics that may further increase NIPS specificity, such as cffDNA fragment hypomethylation. However, not all mutations and abnormalities can be detected using NIPS; for instance, Fragile X syndrome, which affects cognitive abilities, is caused by 1,000 bp repeats that are not contained within the short cffDNA fragments. A recently developed fetal-cell based diagnosis method employs a combination of RBC lysis, magnetic-activated cell sorting (MACS), fluorescent-activated cell sorting (FACS), and manual separation of fetal cells. MACS and FACS rely on monoclonal antibodies to cell surface markers, but contamination is an issue because fetal and maternal cells share markers. Thus, this method involves manual cell selection to separate fetal and maternal cells as its final step; however, manual cell selection may be too labor-intensive for the average diagnostic laboratory. To overcome the issue of unspecific antibody capture, a technique has been developed that uses density gradient centrifugation to begin cell separation, followed by lectin-based erythroblast isolation, chemical staining for blood cells, and automated image capture and laser capture microdissection (LCM). This technique has been used successfully to isolate nRBCs. The founders of Fetolumina Technologies Corp. hope that their nanoVelcro microchips for enriching fetal trophoblasts from maternal blood will lead to reliable non-invasive diagnosis. The chips are imprinted with antibodies to capture trophoblasts. Immunocytochemical labelling distinguishes trophoblasts from maternal white blood cells for LCM. Not only were sufficient cells captured using these chips, but the technique of array comparative genomic hybridization (aCGH) also successfully diagnosed Trisomy 13, 18, and X, and a rare chromosomal deletion and duplication. Scientists are developing Cell Reveal™–a microfluidic chip coated with cell marker antibodies for nRBCs and trophoblasts. The system includes a fluorescence microscope equipped with an automated image analyzer selects cells. Full automation of the technique makes it more feasible for diagnostics, provided it is cost-efficient. Because Cell Reveal™ captures nRBCs as well as placentally-derived trophoblasts, any false-positives caused by placental mosaicism can be confirmed, although this has yet to be demonstrated. The founder of Rarecells Diagnostics, Patrizia Paterlini-Bréchot, announced last year that the company developed a fully automated fetal cell-based test that isolates cells by size, not antibodies, thereby avoiding maternal cell capture. The product, called ISET, is reported to collect an average of 25-35 fetal trophoblasts from 10 milliliters of blood. Scientists have recently developed capillary-based cell selection to separate fetal trophoblasts enriched and stained with antibodies to cell-surface markers. Using whole genome sequencing and aCGH, the test accurately identifies aneuploidy, translocations, deletions, and duplications. Arcedi Biotech launched the product in the Central Region of Denmark in May 2018 and aims to create a high volume and fully automated version. Rare diseases, as a whole, affect 25-30 million people in the U.S. Around 80 percent of rare diseases have a genetic origin, and the predisposition for a condition means family members are often keen for prenatal diagnosis. Diagnosis helps clinicians and parents plan treatment and care, and in a handful of cases, in utero treatment is available. However, sometimes the prospects for quality of life are so poor that termination is the better option. In all cases, early and accurate diagnosis is the key to the best possible outcome. Implementation of rare disease diagnostics will depend on government initiatives, as well as biotech companies and clinical laboratories putting the health of people before economic gain. Constantly evolving NIPS methods, the emergence of fetal-cell based testing, and new ways of detecting rare genetic abnormalities mean expectant parents worldwide could soon benefit from accurate non-invasive prenatal diagnosis.